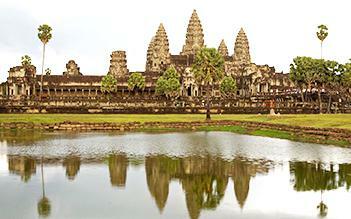 Visit Trang An, Hoa Lu and Thung Nham on this 2-day tour. 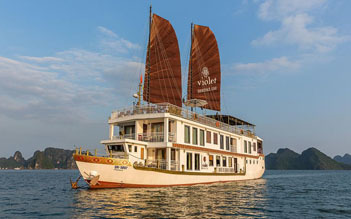 Scenic Ninh Binh day tour is specially designed to explore the top highlights in Ninh Binh province with interesting activities to take part in: have great captivation of scenic mountains & rice field valleys in the area, boating in Trang An to enjoy the scenery of forested mountain settings, rice fields & naturally hidden caves, and learn about habitats of bird types. 7.45- 8h30: We pick you up at your hotel in Hanoi Old Quarter. 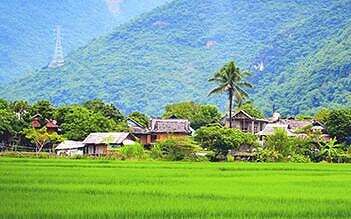 Departure for Hoa Lu – Thung Nham There is beautiful roadside scenery on the way. 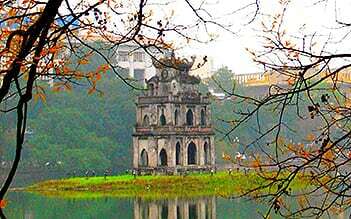 10.30: After arriving in Ninh Binh province, the guide takes you to visit Hoa Lu - the Ancient Royal capital of Vietnam. 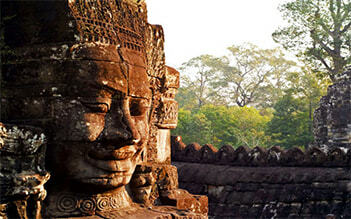 We will visit Dinh king temple and Le temple. 12.10: Have lunch in local restaurant with some local special dishes such as Goat meat with elderberry, pork storage vessel before we visit Thung Nham. Every evening at sunset, many group of bird after searching for food fly back here for night shelter, perch and fill the wetlands in the valley that makes an original landscape. 18.00: Check in the hotel and have dinner at hotel. 8h.00: Have breakfast with Vietnamese local food at hotel. 10.00: Our bus take you to go to join group tour to Bai Dinh pagoda, the biggest pagoda in Vietnam with 500 La Han statues, biggest bronze Buddha statue in Vietnam with 10 meters in height, 100 tons in weight. 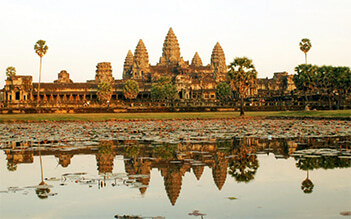 You will visit Pagoda for 3 hour . 13.30: Depart to visit Trang An tourist attraction, there is beautiful scenery landscape, you will boarding a small boat to visit Trang An, you will see majestic limestone cliffs and mysterious yet inviting caves, as well as coutryside sights, like peaceful streams, rice paddies and deserted green fields. 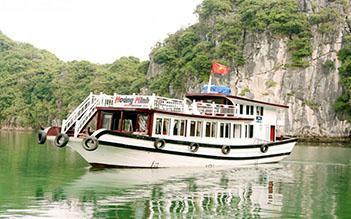 Take boat trip to visit cave complex: Sang Cave, Toi Cave, Ba Giot Cave, Nau Ruou in mystery and wildness, see scenery of mountain and rivers Halong on land of Ninh Binh. 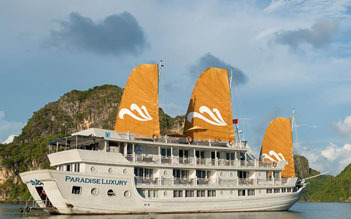 We booked this trip the night before on a whim, and can't imagine our trip to Vietnam without it. Our tour guide was great, knowledgeable, efficient and friendly. Rowing through the caves was the highlight, but everything was beautiful. Well worth it. I highly recommend this day trip for anyone interested in visiting Ninh Binh. 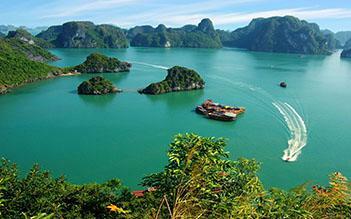 It truly is Ha Long bay on land and the tour highlights all the amazing features of the province. It was the right balance of leisure hiking, relaxing on a boat as you ride through the river and ending with an intense hike up the Mua cave. I can not recommend this tour enough!